The direction of a fabric's yarns presents many design opportunities and can take a garment from "ho-hum everyday" to "absolutely sublime." To become a grain rebel, you first need to identify and understand fabric grain (see the box below). Then take a fabric and tug it in all directions to test its stability and stretch. 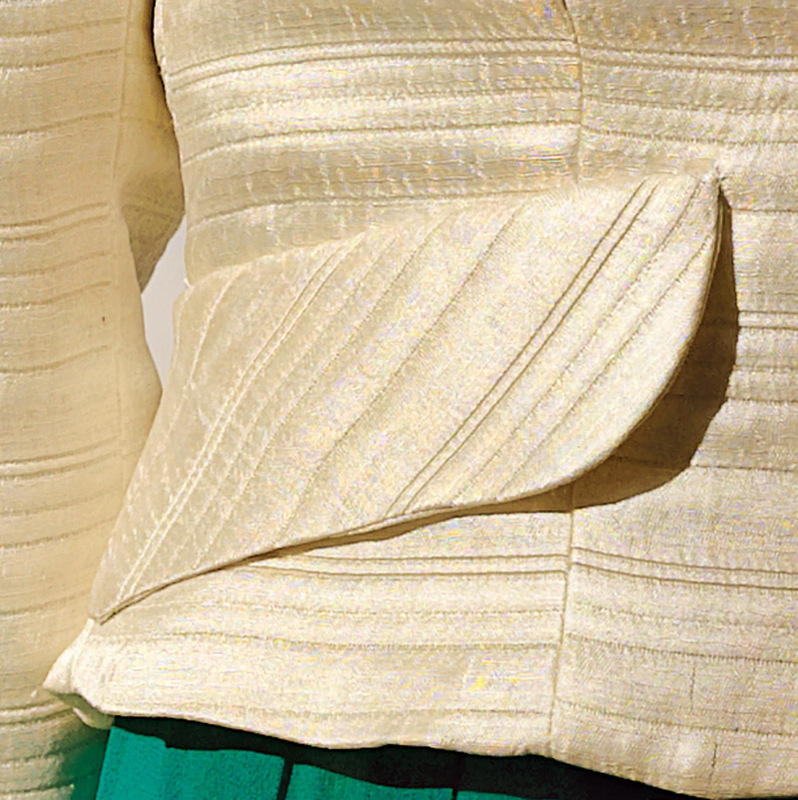 Once you know how different fabrics stretch and drape, you can start playing with grain to make a garment that is truly unique. If you take the time to manipulate grain, you want it to stand out. 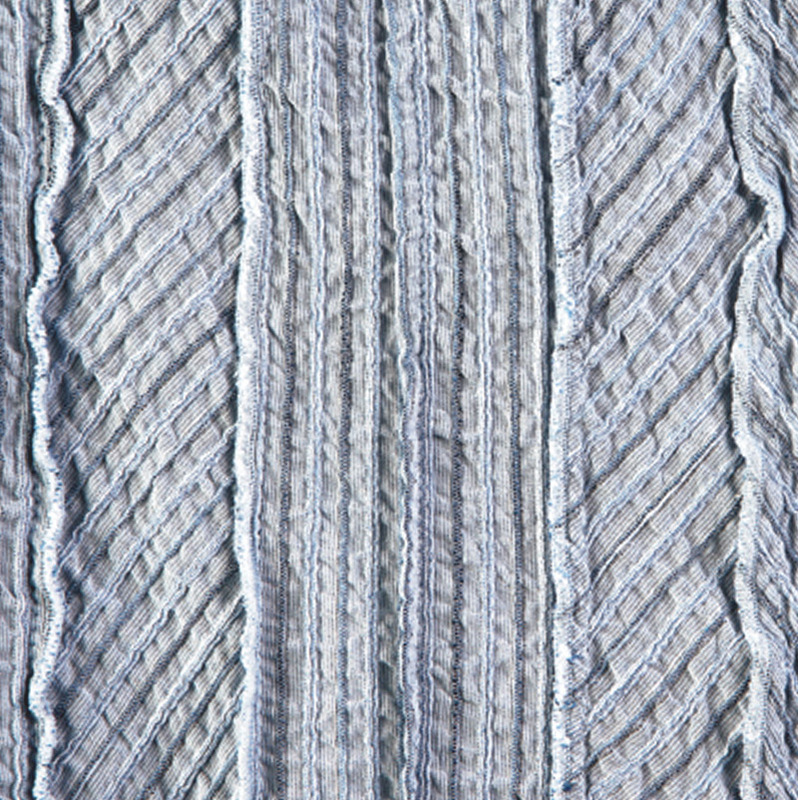 So look for fabrics with bold texture, like damask, linen, herringbone, or faille. Or opt for a linear print. My absolute favorite fabrics to play with are stripes and plaids. Straight and narrow, no more. Pivoted and turned in unconventional ways, a simple striped fabric adds dimension and shape to the garment in the photo at right. Crash course on grainGrain is the direction of a fabric’s yarns in a woven fabric: lengthwise and crosswise. In knit fabrics, the yarns interloop, so the following don’t apply. Lengthwise grain is commonly referred to as “grain” or “straight grain” on commercial patterns. It’s marked by an arrow on the pattern piece, indicating the direction in which the pattern should be placed on the fabric. Lengthwise grain lies parallel to the selvages and has little or no stretch. Therefore, in most garments, lengthwise grain runs perpendicular to the ground. Crosswise grain, also called “cross-grain,” is made from the yarns woven over and under the lengthwise yarns at a 90-degree angle. 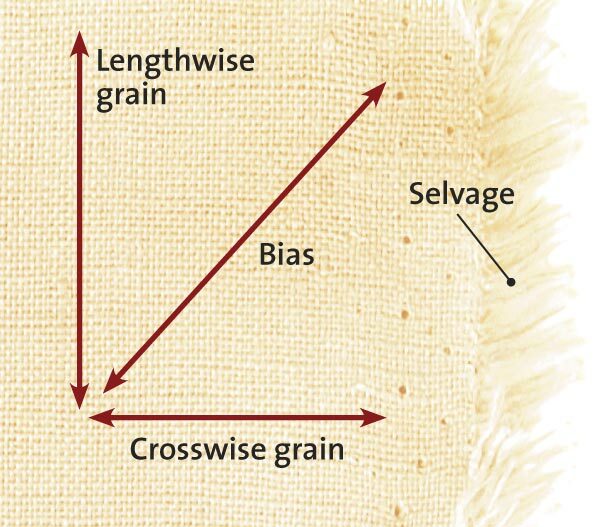 Crosswise grain has more stretch than lengthwise grain, thanks to the over/under weaving, which naturally provides less tension. In most garments, crosswise grain runs around the body, parallel to the floor. Bias-not technically a grain, refers to any line diagonal to the lengthwise and crosswise grains. 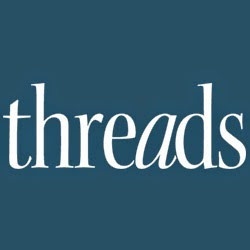 “True bias” is a cut made on an angle 45 degrees to the selvage. 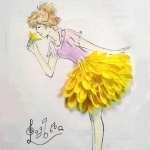 It has the most stretch and gives fabric a flowing drape over the body. 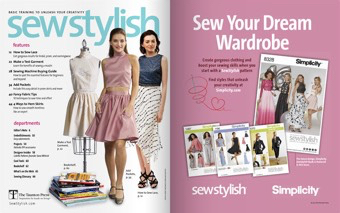 Because of the inherent elasticity of bias, it requires special care in cutting and sewing to utilize the stretch without distorting the fabric. With a grain-worthy fabric at the ready, look to your pattern. And don’t be bound by the layout outlined in the instruction sheets. Pattern layouts are starting points only. They’re not commandments. Add texture with strips. Place each one on a different grain. Turn the seam allowances out. 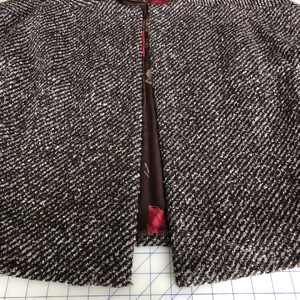 On this princess-seamed jacket (McCalls 5106), the pocket flaps are turned on the bias, with interfacing added for support. Spin just a few pattern pieces. Go ahead and cut only a few select pieces on different grains. Let’s take, for example, a princess-seamed jacket. Try laying out the front and back pieces on the lengthwise grain, but use opposite bias grains for the side front and side back pieces. This will give you visual interest and can have a slimming effect on many figures. It also adds real “pow” if you’re working with a plaid or a stripe. Focus on center front and back. One of my favorite places to play with grain is at the center front or center back. It’s easy to do. 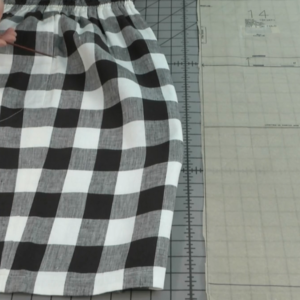 With most patterns, simply ignore the “cut on fold” direction and make a seam at center front or back. (Don’t forget to add seam allowances.) Then cut the fabric on the bias for a lovely chevron effect, as in the cream jacket shown here. Slice and dice. Don’t be bound by the pattern shapes. 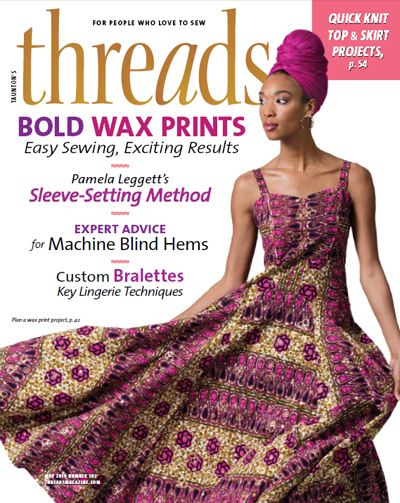 Take a cue from “Cut Up Patterns and Add Seams” in Threads no. 129. I did. For the cream jacket, I sliced out the top of the front pattern pieces and changed them to a bib-yoke-style front. This completely altered the look of an otherwise plain-Jane princess jacket, allowing me to highlight a contrasting fabric. Eke extra mileage from precious yardage. Playing with grain has a wonderful side effect: Varying the direction of your layout usually saves fabric. Case in point: I recently bought an abstract print silk fabric in Paris. Because it was so dear, I only bought enough for a simple shell. The pattern I decided to use was a bias-cut, cowl-neck top. I didn’t have enough fabric to cut the whole top on the bias. But I did have enough to cut the front and cowl on the bias and the back on the straight of grain. Thanks to the overall print of the fabric, it’s impossible for anyone to tell the difference. Play with stripes. 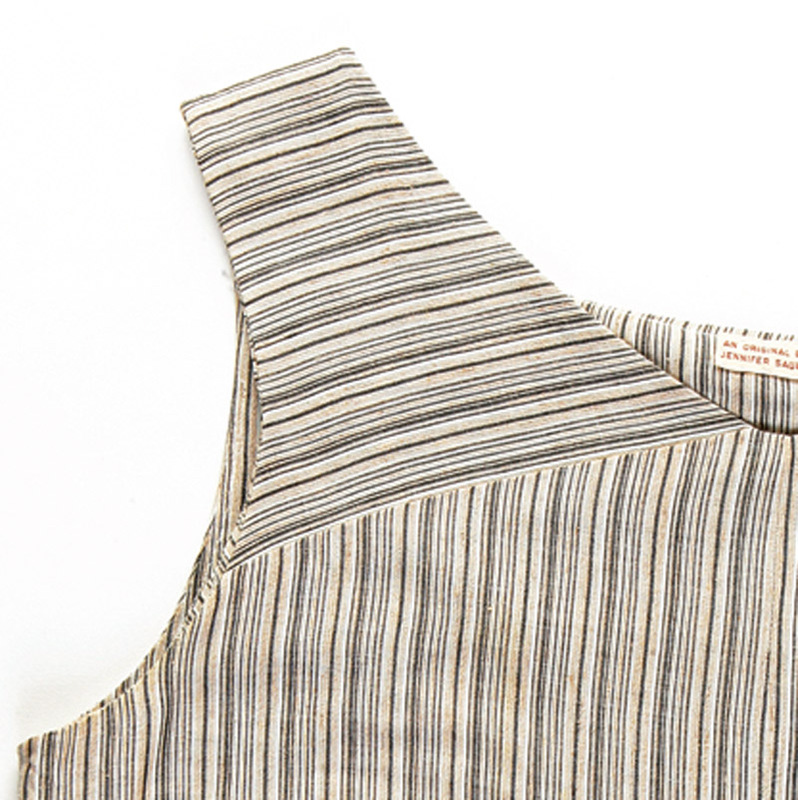 Striped fabrics are a logical place to begin your grain adventures. They lend themselves to great design opportunities. 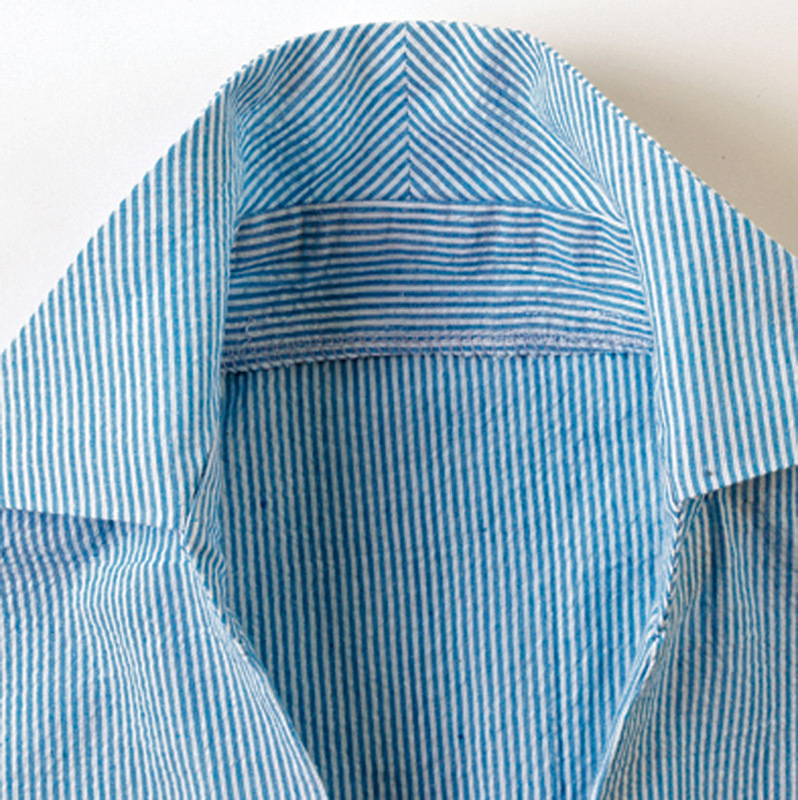 The plainest button-down shirt, for example, can become a work of art. High-end designer Thomas Pink cuts one front piece on the lengthwise grain and the other on the crosswise grain for a funky, asymmetrical look. Another fun use of stripes is to create a chevron effect along seams, like the blue-and-white halter dress shown at the beginnin of this article. This visual trick allows you to emphasize or disguise figure flaws, create the illusion of a waistline, and create visual “flow” in a garment. 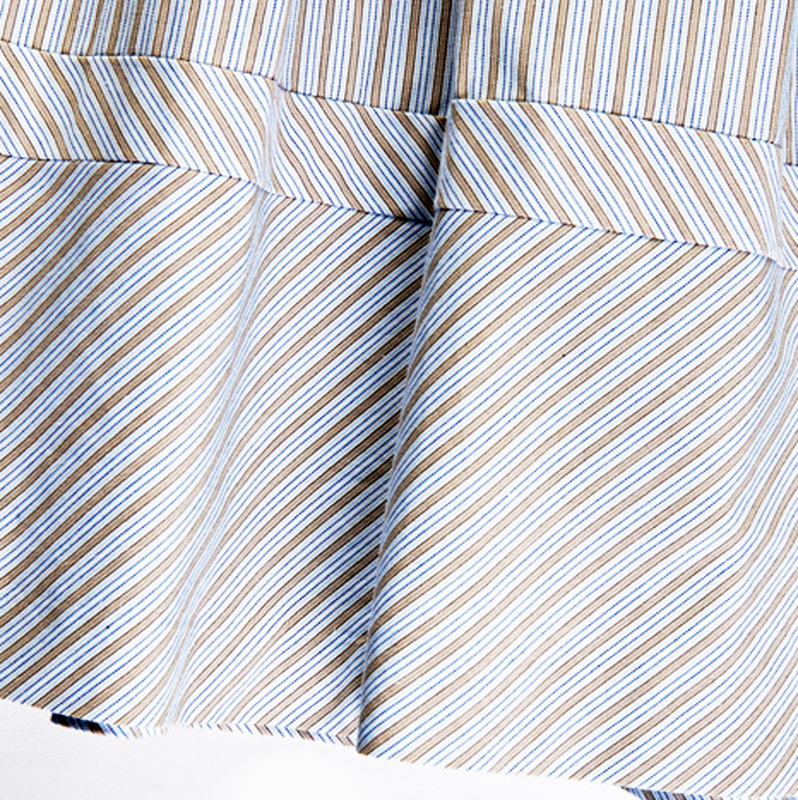 Play up stripes at a skirt hem. Cut skinny and wide panels on opposite bias grains. Turn it all on the cross-grain. A linear print or texture often looks quite different when turned 90 degrees. 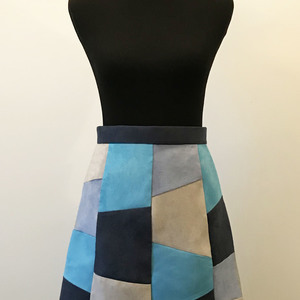 I especially love to cut a basic skirt or pant on the cross-grain to give it a unique look. Build in comfort with bias. With grain, you can manipulate the way fabric drapes or stretches. By cutting the smaller side pieces of the princess-seamed jacket on the bias, I added more ease, which makes the otherwise stiff jacket comfortable to wear. It also gives you a little extra room to accommodate weight fluctuations. Small touches, big impact. You needn’t use grain differences on major pattern pieces to make a major impact on your garment. 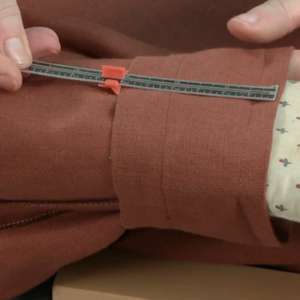 Just focus on details and try cutting collar, cuff, or pockets on a different grain. Piece a collar. Add a center-back seam, and cut the pieces on opposite bias grains. 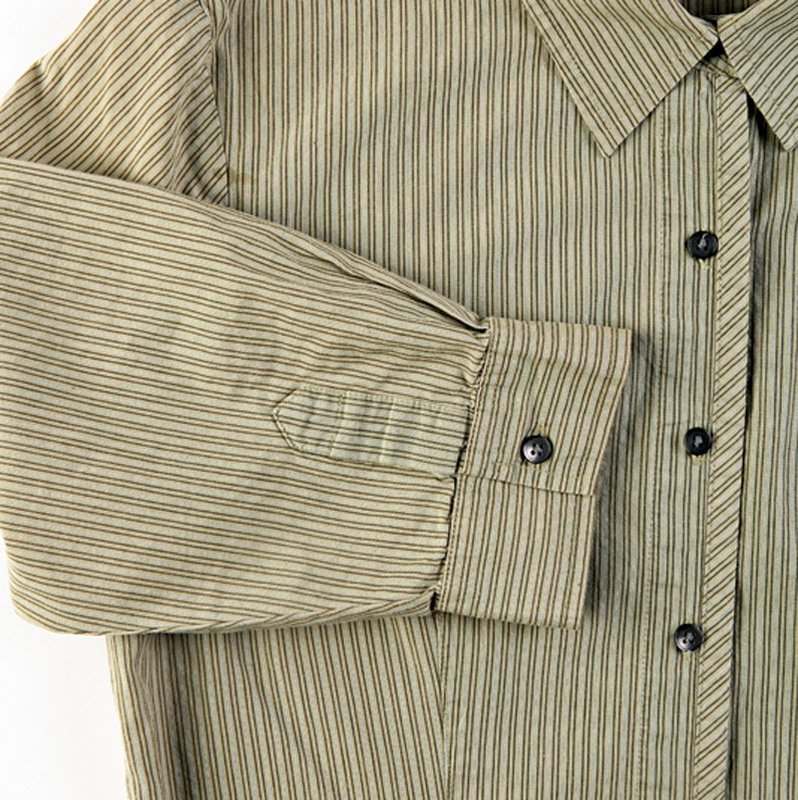 Create a standout shirt binding and cuffs. 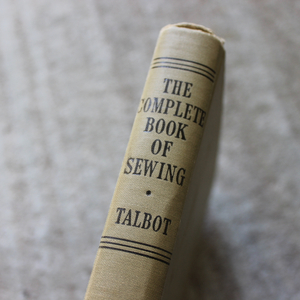 Cut binding on the bias and cuffs on the cross-grain. Most collars and cuffs are cut with the long edges on the lengthwise grain, which can be visually compelling. You can also cut them on the cross-grain to align with the rest of the garment. 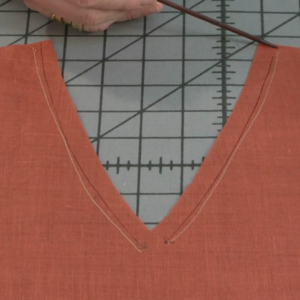 Or try cutting a collar on the bias, and add a center seam at the center back. The grain will then fall beautifully and draw attention to your face. A favorite touch of mine is to make welt pockets but cut the welt on the bias. Bindings are another way to show off grain: The strips are traditionally cut on the bias to bind armholes and edges. Insert playful panels. For an asymmetrical look, add a bias insert to one shoulder. Pivot a patch pocket. 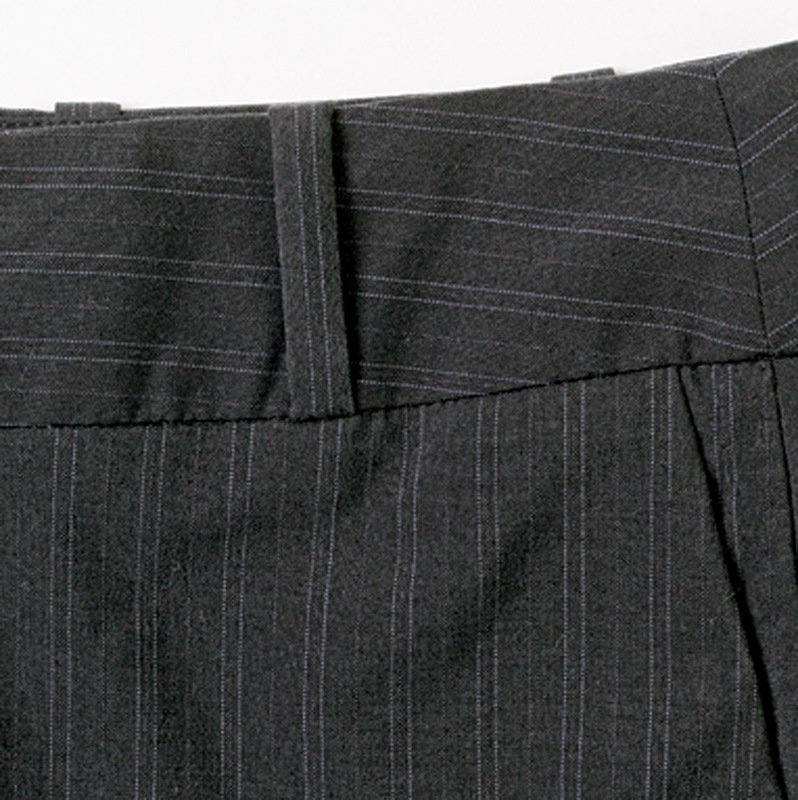 Cut on the bias, it lets the garment’s vertical stripe shine through. Set a waistband on edge. Stripes chevron at the side seams. Contrast belt loops complete the look. Test it first. One of the most vital steps in the designing-with-grain process is tissue-fitting the pattern first to check fit. To do so, just pin the pattern together and try it on. 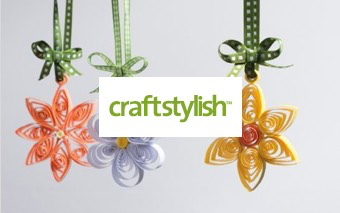 Draw your new grainlines directly on the pattern. 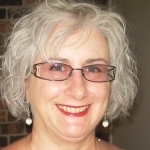 It gives immediate feedback on the changes you envision. Adjust as necessary to make the maximum grain impact and improve fit. Next, make a test garment out of muslin or other inexpensive fabric that is similar in weight and drape to your fashion fabric. This is the final step to make sure everything is going according to plan. 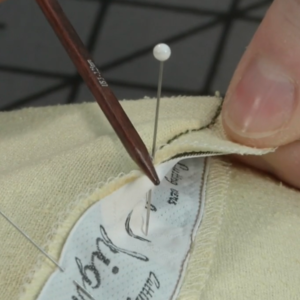 When I cut out my muslin test garment, I mark grainlines on the right sides of each fabric piece in pencil. I also note any changes that need to be made to the pattern directly on the muslin fabric. Mark new grainlines directly on the pattern pieces. After making a muslin test garment, I mark the new grainlines on my pattern pieces using my quilter’s ruler and a bright red marker. This ensures that I won’t forget and use the original grainline. Match at key points. 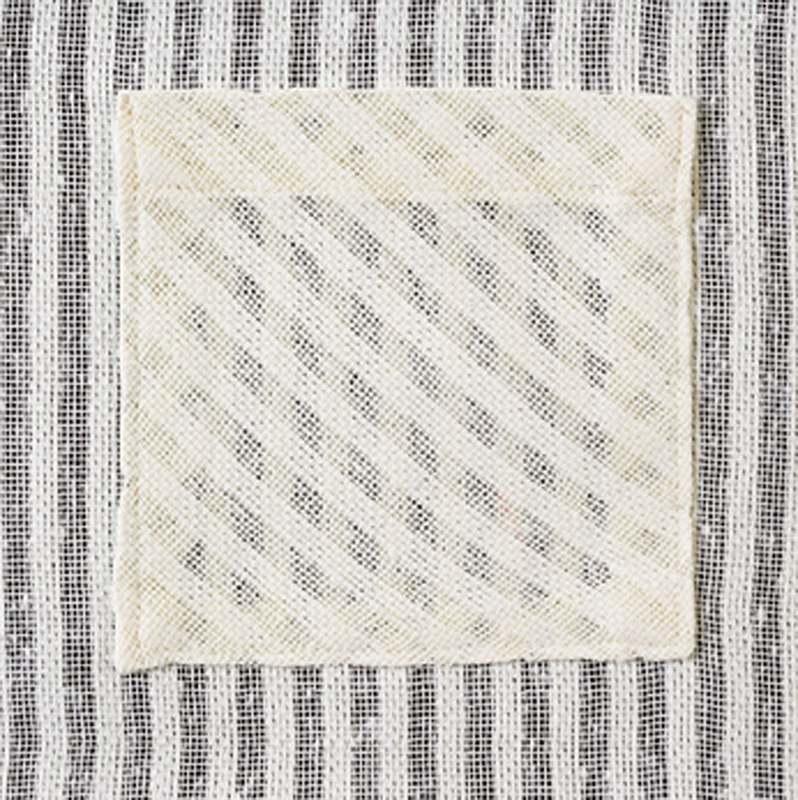 On the muslin, you’ll also quickly identify where you need to match stripes, plaids, or texture lines. It’s virtually impossible to match stripes at every seam –and really, no one will notice if stripes don’t match under your arm. 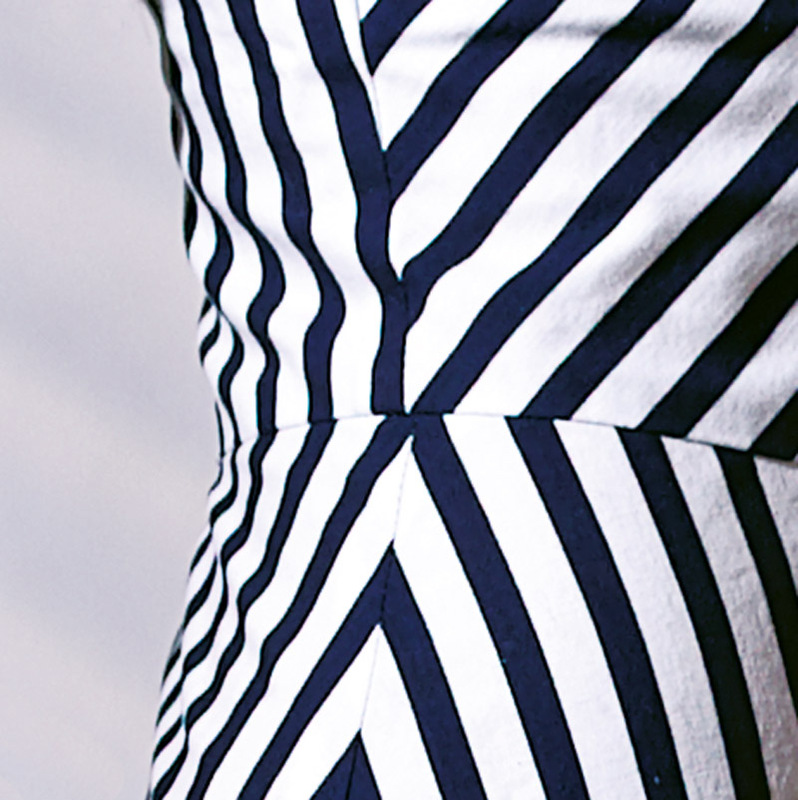 Just match up stripes or lines at key points: center front and center back, for sure, and at side seams if possible. Invest in a quilter’s ruler. When you cut on the bias, you needn’t always use the 45-degree true bias. You can get interesting effects with a 30-degree bias as well. 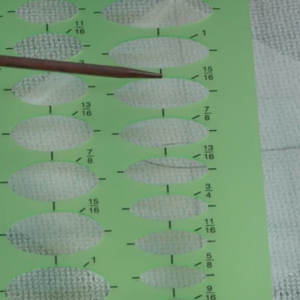 Buy a quilter’s ruler (QuiltersRule.com) so your cuts are exact. Most have 45-degree, 30-degree, and other angles marked, which make easy work of adjusting grainlines. Adjust closures as necessary. 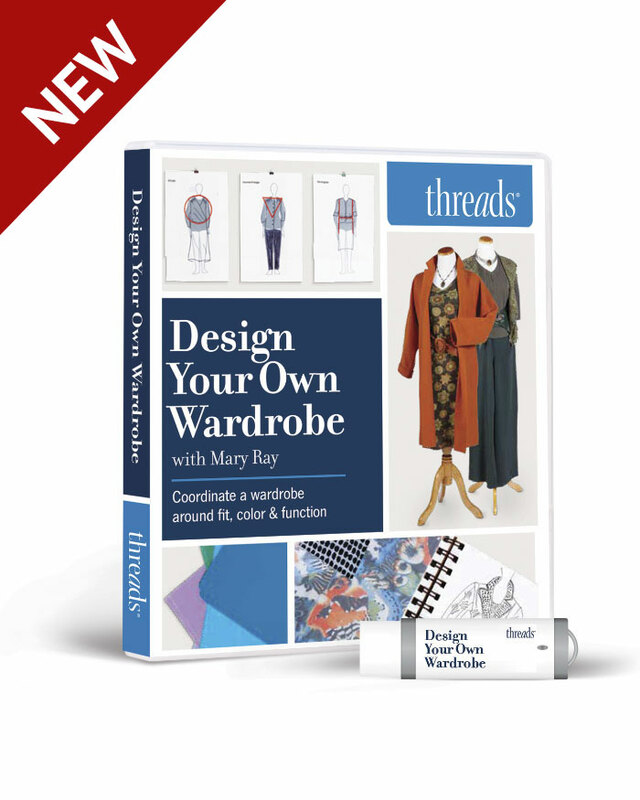 You may need to adjust the pattern pieces to accommodate button or zipper closures. In the cream jacket, I realized that using the printed pattern as directed would cause an overlap at the center front and would ruin the line I wanted to achieve. To fix this, I cut a new pattern piece for the right front, eliminating the overlap. I also switched from using buttonholes to bias loops. This allowed me to achieve the pattern matching I desired without the distortion created from buttons and buttonholes. Cut in a single layer. 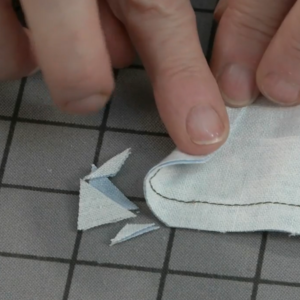 Always unfold your fabric and lay it out in a single layer, right side up. This may take more time, but you’ll be able to see the grain through your tissue pattern. It ensures that the grain is cut exactly as you envision and prevents layout mistakes. Stabilize as necessary. Changing grain usually means troubleshooting stretch. 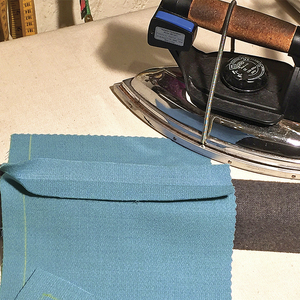 If you decide to cut fabric on the bias, for example, but still would like a stiff, stable collar, you’ll need to compensate with a little fusible or sew-in interfacing cut on the straight grain. 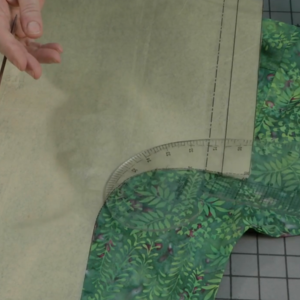 Use larger seam allowances to accommodate bias. 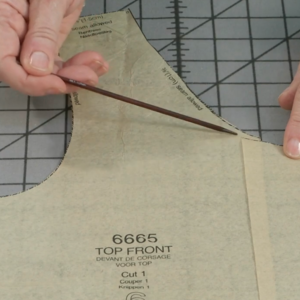 If you cut pattern pieces on the bias, increase the size of the seam allowances up to 3 inches. Bias tends to pull down on the body over time, so the final fit may be a little closer than your original straight-grain pattern. The extra-wide seam allowances will give you room should you need to make fit adjustments. Don’t forget facings. I usually like the grain of garment facings to match the grain of the main fabric pieces. However, you can experiment with facings and align the grain in surprising ways. Most facings are interfaced, so bias stretch isn’t a problem. Grain manipulation can be a wonderfully creative design tool, so don’t be afraid of using it to suit your tastes and needs. I like to repeat to myself, “I control the fabric!” as I let my creative juices flow. It’s empowering, for sure. 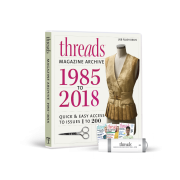 With a little planning and thoughtful layout, you can have a garment that rivals the runway looks from Paris and Milan for a fraction of the cost. 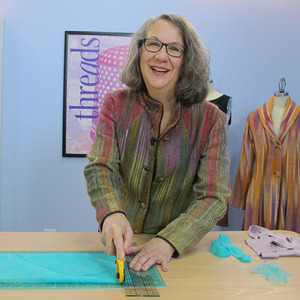 Ann Steeves of GorgeousFabrics.com started her “grain revolution” in Burlington, Massachusetts. 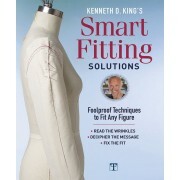 Before You Hem a Bias Garment, Let the Fabric "Hang Out"
Fantastic! I have a piece of left-over material too small for much - but turned sideways I can cut out a straight skirt on the cross-wise grain. Might as well experiment! This is a very encouraging article for a first time adventure. Can you give me advice on how to line.